“Love, Gilda,” Lisa D’Apolito’s biography of founding “Saturday Night Live” member Gilda Radner, treats comedy fans to an earnest assessment of the brilliant performer’s life and career, which was cut far too short at age 42 as a result of ovarian cancer. As one of the trailblazing Not Ready for Prime Time Players, Radner originated a healthy share of some of the show’s most memorable characters during her five seasons on SNL. Competing for space and time against the likes of John Belushi, Dan Aykroyd, Chevy Chase, and Bill Murray in the male-dominated boys club, Radner not only held her own, she contributed some of the most iconic moments. D’Apolito follows a conventional chronological presentation of Radner’s path to stardom, drawing on a well-curated trove of personal and professional still photographs, family home movies, behind-the-scenes footage, and clips both obscure and well-known. This content is supplemented by new interviews with friends and associates (including Chase, Martin Short, Lorne Michaels, Paul Shaffer, Laraine Newman, Anne Beatts, Alan Zweibel, and Rosie Shuster) and a key selection of fans and admirers like Amy Poehler, Melissa McCarthy, Maya Rudolph, and Bill Hader. Unfortunately, a handful of figures are missing, perhaps most notably -- but not surprisingly -- former Radner boyfriend Murray, who is included in the vintage material. The documentary effectively addresses the entire arc of Radner’s remarkable life, from her childhood challenges with self-image (Radner’s mother made her take diet pills as a kid) to the diagnosis and treatment of the malignancy that interrupted her at a time of personal fulfillment with second husband Gene Wilder. Those bookends are both accompanied by the intimacy of private films and videos. In between, D’Apolito draws on the more familiar stuff that made Radner a legend: commentator Roseanne Roseannadanna, nerd Lisa Loopner, precocious child Judy Miller, confused editorialist Emily Litella, and the hybrid impersonations of celebrities like Baba Wawa and Candy Slice, among others. Radner’s Peter Pan-like refusal to abandon the happiest aspects of childhood and adolescence helps D’Apolito move beyond the banality that transforms so many personality documentaries into hagiographic tributes. Obviously, movies that celebrate artists and performers (especially those who have died) overwhelmingly bend toward the laudatory. But the selected notes from Radner’s journals, writings, and letters peel off the masks of tragedy and comedy in equal measure, like the laughter and tears woven into “Honey (Touch Me with My Clothes On).” In one, Radner describes the “heavy chains” that attach her rising star to the hard ground. In another, she relates a hilariously mortifying anecdote of a fan’s medical ethics breach. 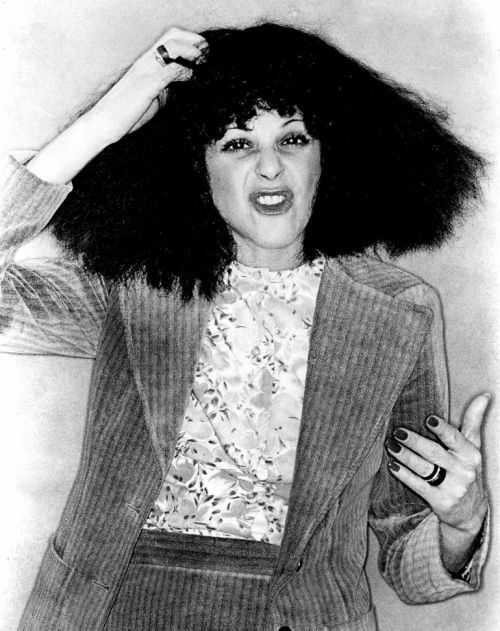 The latter story is read by another, but “Love, Gilda” is narrated principally by Radner’s own voice, and D’Apolito locates much vulnerability, as well as the dark self-doubt that Radner was able to hold at bay when she experienced the ebullience and joy of being on stage. Those candid and direct admissions don’t cover everything with the same degree of detail. But D’Apolito has thoughtfully and carefully applied an evenhandedness to the whole. The last section of the film, focused on the Radner-Wilder partnership, skips past most of their disappointing movie collaborations to concentrate on the mutual love and respect that transcended show-must-go-on cliches to make a case for life and how to live it.